1:30 a.m. — A 23-year-old Galion woman was arrested for possession of drugs in the 500 block of Kroft Street. 2:47 a.m. — A Grant Street resident reported that their neighbors were pounding on the walls of their apartment. 3:41 a.m. — A 22-year-old Galion man was arrested for possession of drugs at Cedargate Apartments. 2:42 p.m. — A report of an erratic driver on Portland Way South was reported. 5:59 p.m. — Officers assisted troopers from the Ohio Highway Patrol with a traffic stop on Third Avenue. 8:07 p.m. — Police received a report of two men who hollared obscenities inside a business in 300 block of Harding Way East. The two were giving warnings. 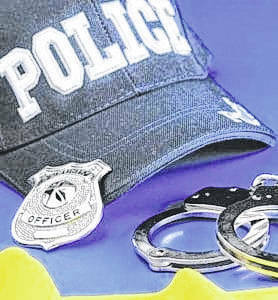 10:32 p.m. — A 41-year-old Mansfield man was arrested for falsification. 10:43 p.m. — A report of a kid throwing snowballs at carsin the 7700 block of Ohio 309 was investigated. 11:02 p.m. — A report of loud music in the 400 block of Third Avenue was investigated. 7:02 a.m. — A 49-year-old Galion woman was arrested in the 400 block of Grant Street. 10:22 a.m. — A report of a suspicious vehicle at Peco Park was actually people playing Pokemon..
11:26 a.m. — Police investigated someone driving recklessly in the St. Joseph’s Church parking lot . 1:44 p.m. — A report of a van in a ditch near Powers Reservoir was investigated. 6:20 p.m. — A report of someone driving recklessly in the snow, in the parking lot at the former Geyer’sOf, was investigated. 8:18 p.m. — Officers assisted a motorist stuck in the snow on South Boston Street. 11:03 p.m. — A North Market Street resident reported being assaulted by a neighbor. One man was arrested for disorderly conduct, criminal trespass and assault and taken to the Crawford County Justice Center. 12:40 a.m. — Officers assisted with a vehicle that was stuck in snow on Arlington Avenue. 12:57 a.m. — Officers transported an OB nurse to work at Galion Community Hospital. 3:11 a.m. — Officers assisted EMS personnel in the 300 block of Garverick Court. 3:26 a.m. — Officers assisted a mother in getting her son and his wheelchair into their home on Homer Street. 4 a.m. — Officers assisted EMS personnel in the 800 block of Timberlane Drive. 6:25 a.m. — Officers transported an ER nurse to Galion Community Hospital for work. 6:46 a.m. — Officers assisted a motorist who’s vehicle stuck on the railroad tracks on E Atwood Street. CSX was notified to hold all trains until the vehicle was removed from the tracks. 10:09 a.m. — A motorist was warned against driving under a level 3 snow emergency. 5:51 p.m. — A report of an unruly juvenile in the 500 block of Lee Court was reported.